The Reserve Bank of India (RBI) is going to shortly issue Rs 100 denomination banknotes in the Mahatma Gandhi (New) Series. The new denomination will have motif of “Rani Ki Vav” – the stepwell situated in the town of Patan in Gujarat – on the reverse, depicting the country’s cultural heritage. 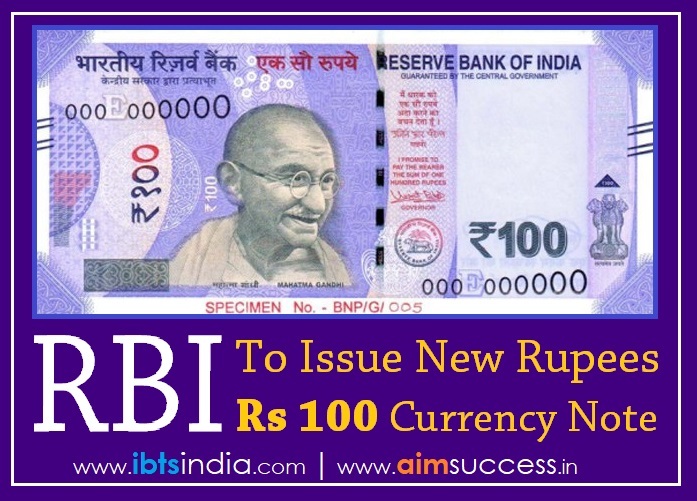 The colour of the 100 rupee note is Lavender and will bear the signature of Urjit R. Patel, Governor of RBI. The earlier series will continue to be legal tender and will not be affected by the new note.